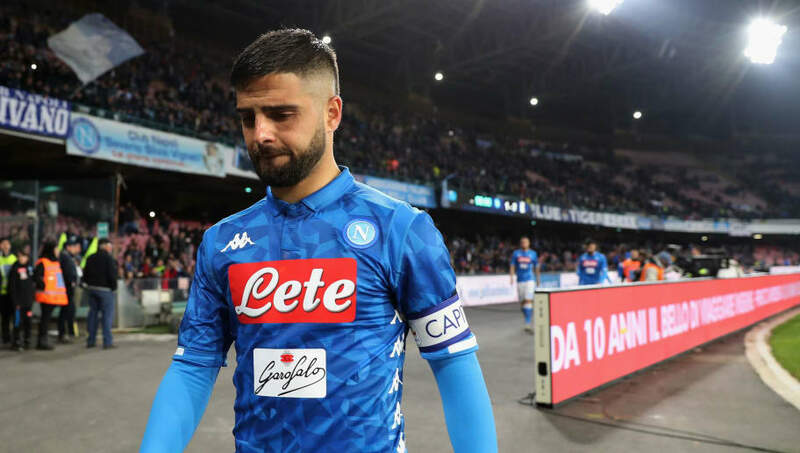 ​Napoli winger Lorenzo Insigne has cast doubt over his future at the club by suggesting he could leave "if he receives an offer he can't refuse". The Italian international, who has 13 goals in all competitions, has been ​the subject of interest from Liverpool in recent weeks, although instead of moving to play down talks of a move away from the Stadio San Paolo, the attacker has talked up the possibility of a departure; talk that has intensified appointing Mino Raiola as his new agent. Speaking to Italian media outlet Corriere dello Sport, as quoted by ​football italia, he said: "I am 28 years old and it could happen that I receive an offer I can’t refuse. ​Napoli face Genoa on Sunday, where a home defeat would confirm Juventus as ​Serie A winners for an eighth consecutive season.